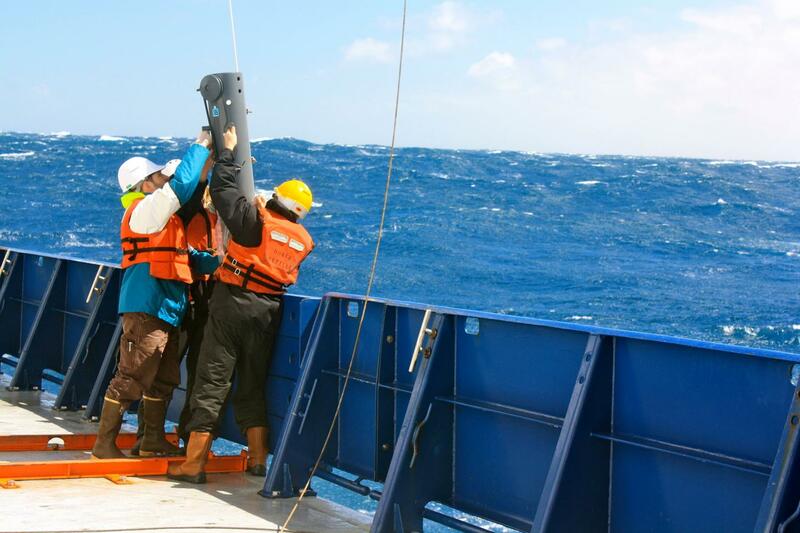 Bigelow Laboratory for Ocean Sciences researchers have developed a statistical method to quantify important ocean measurements from satellite data, publishing their findings in the journal Global Biogeochemical Cycles. The study was made available online in December 2017, ahead of publication in January 2018. Their research remedies a problem that has plagued scientists for decades: ocean-observing satellites are incredibly powerful tools, but they can only "see" the surface layer of the ocean, leaving most of its depths out of reach. The new method makes it possible to quantify six types of particles that are key to understanding ocean dynamics and ocean-atmosphere interactions. Scientists have long used ocean color remote sensing to measure these particles in surface waters, and now, they will be able to reliably calculate concentrations of these particles through the water column. These calculations will provide data about the first 100 meters of ocean water, or to the depth where light levels dim to about 1 percent of the brightness at the surface. One important algae quantified by this new technique are the coccolithophores, ocean plants that surround themselves with reflective chalk plates that, en masse, can cause entire ocean basins to reflect more light when they "bloom." The effects of these microscopic coccolithophores are far-reaching: they influence biogeochemistry, global carbon cycling, and global microbial ecology. The carbon they produce when building their chalk plates even helps buffer the increasing acidity in the ocean caused by excess carbon dioxide in the atmosphere. "It hit me that we've been calculating chlorophyll profiles from surface measurements for more than thirty years, but we don't know what the depth profiles of other biogeochemically-important materials look like," said Barney Balch, a senior research scientist at Bigelow Laboratory and lead author on the paper. The researchers also studied variables related to other ocean plant groups, like diatoms, which build glass shells that carry carbon to the deep sea, sequestering it from the atmosphere. Understanding carbon cycling is essential to understanding present and future changes to global climate. The effort to answer such huge questions was similarly great. Balch and his co-authors used data from 19 cruises, gathered from more than 1,300 locations in all of the world's oceans. From this vast dataset, they calculated the concentrations of six biogeochemically-relevant particles in the sunlit portion of the ocean. "It's just a simple question, but it required a large global dataset to answer," Balch said. "The results provide new oceanographic insights into the ecology and biogeochemistry of these important algae and particles, and they make satellites an even more powerful tool for describing the entire illuminated depths of the ocean." igelow Laboratory for Ocean Sciences is an independent, nonprofit research institute on the coast of Maine. Its research ranges from the microscopic life at the bottom of marine food webs to large-scale ocean processes that affect the entire planet. Recognized as a leader in Maine's emerging innovation economy, the Laboratory's research, education, and technology transfer programs are contributing to significant economic growth. Learn more at http://www.bigelow.org, and join the conversation on Facebook and Twitter.